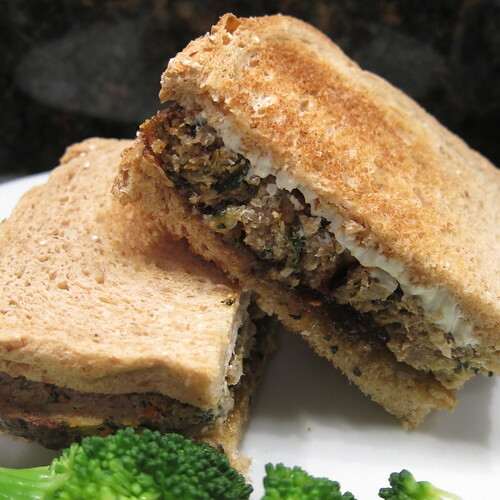 Last night Matt's Deluxe Meatloaf met its real purpose, the meatloaf sandwich. A nice hearty wheat bread, a good warm slab of leftover meatloaf, some soft cream cheese and sweet green tomato jam. A comforting little plate if there ever was one. Seriously, the cream cheese and jam are just perfect combinations with the meat adding layers of texture and sweetness. If you don't have green tomato jam try it with apple butter.